On October 8, 2015, APPS sent a letter to Pennsylvania Governor Thomas Wolf asking him to remove Farah Jimenez from one of the Philadelphia School Reform Commission’s gubernatorial spots on the SRC. After observing a number of irregularities by SRC member Jimenez, APPS sent a letter asking her to explain. We asked her to explain why she voted to approve a $300,00.00 contract with Mastery Schools for teacher training passed in August. We asked why she abstained from a vote to transfer management of Frederick Douglass elementary from Young Scholars to Mastery, and then admitted at a later SRC meeting that she took part in discussions on the transaction at SRC executive sessions. We asked her to explain her decision, and the SRC’s, not to disclose the fact that she oversees the district’s Charter Office or that she facilitated the application and approval process for 39 charter applicants last winter. These are all important questions due to the fact that her husband is on staff at a law firm that does extensive business with Mastery and KIPP schools. Ms. Jimenez’s response was to have her lawyer send a letter, obviously intended to intimidate, accusing us of “defamation” and “malice” toward his client. We were shocked to see a public official, after being asked to respond to concerns regarding her actions as a public official, take steps to silence members of the public. If she does not resign, the Governor has more than enough reason to remove her. On October 15, 2015 the Daily News reported on the APPS letter to Governor Wolf. A local group of education advocates has sent Gov. Wolf a letter asking for the removal of Farah Jimenez from the School Reform Commission because of her husband’s association with charter schools. On October 16, 2015, Daily News columnist Christine Flowers wrote a column attacking APPS because of the letter and defending SRC Commissioner Jimenez. This is APPS response to the Flowers’ column. We wish to respond to Christine Flower’s column (“SRC’s Jimenez the one who really cares”, Friday, October 16) comparing members of the Alliance of Philadelphia Public Schools (APPS) to the Taliban because we asked SRC Commissioner Farah Jimenez to explain actions she has taken as a member of the SRC. The column makes a number of false statements. APPS is not “run by union leaders”. We are an independent grass-roots organization of teachers, community members and parents who believe that a public school system should serve the interests of the community, not private investors. We receive no outside funding. We do speak out at SRC meetings on those issues, and have done so long before Ms. Jimenez’s appointment last year. We are puzzled by Ms. Flowers’ position that this constitutes “harassment”. Members of the SRC have a responsibility to explain their actions to the public they have been appointed to serve. Public officials are accountable to the public, not the other way around. APPS made no “personal attacks” on Ms. Jimenez, nor did we engage in any “name-calling”. The questions we raised in our letters to Commissioner Jimenez and to Governor Wolf were based on public comments made and actions taken by her at SRC meetings. As reported in the Daily News, we questioned her decision to vote to approve a $300,000 contract with Mastery Schools in spite of the fact that Mastery is represented by the legal firm at which Ms. Jimenez’s husband is employed. We asked why she abstained on a vote to transfer management of Frederick Douglass Elementary to Mastery Schools, then stated publicly that she took part in discussions in Executive Session on that matter. We asked why neither she nor the SRC disclosed that she had taken on oversight of the district’s charter office or that she facilitated the charter application process earlier this year in which both Mastery and KIPP, who is also represented by Ms. Jimenez’s husband’s law firm, had submitted applications. Contrary to Ms. Flowers’ assertions, we made no allegations. We asked Ms. Jimenez to explain why these actions do not constitute a conflict of interest. We have yet to receive a reply. She states that APPS sued the city and demands to know where the settlement money went. The fact is that that the suit was filed by individual members of APPS whose First Amendment rights were violated, a fact that was admitted to by Ms. Jimenez herself at an SRC meeting. 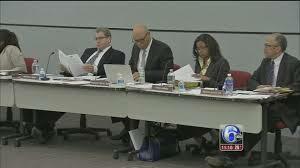 Although they were under no obligation to disclose it, those members actually testified that the money had been distributed to schools and student programs at an SRC meeting when Ms. Jimenez was present. Ms. Flowers’ loyalty to her friend is admirable. It is not, however, an excuse to attack members of the public for expressing their opinions and demanding that public officials to be answerable to those they are entrusted to serve. Call Governor Wolf at 717-787-5825 and request that Farah Jimenez be removed from the School Reform Commission.